Ray has been working in one way or another since he was 10 years old. He started with one paper route and grew it into three before selling them at 15. He put himself through high school (St. Michael’s) and university (Ivey) working summers in factories and on construction sites. And once he graduated from Ivey (University of Western Ontario), he began his full-time career working at Canada’s oldest and largest advertising firm, McKim Advertising. There he worked on a variety of clients from the packaged goods, financial and retail industries while he worked his way up the ladder, eventually becoming an Account Director, responsible for the largest account in the firm, General Foods (now merged with Kraft). 12 years after graduation, he saw an opportunity in the growing marketing services arena. Applying the disciplined, strategic approach to building sales that he had learned along the way, he eventually was appointed President of the company and, finally, took over its ownership. After more than 30 years of marketing and sales success, Ray sold his company and enjoyed 2 years of “early” retirement before deciding that he just couldn’t kick the work habit, and began his “second career”. It’s now 10+ years later and Ray is a Broker with a stable of satisfied clients that will attest to the fact that the skill set Ray developed serving the needs of Corporate Canada have translated into an exceptional real estate professional. Ask his clients and these are the attributes they ascribe to Ray. He is committed to helping you achieve your goal, whether that’s buying or selling your home or cottage. He remains available at all times (with the occasional complaint from his wife) and returns calls promptly and keeps you informed of the progress towards your goal. He “services the hell” out of every one of his clients. No matter how big or small the task, he takes it on and works harder to get it done. 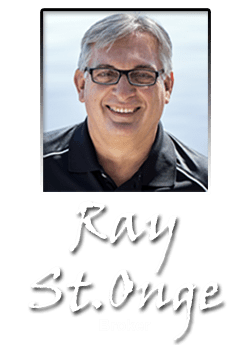 Call Ray and let him help you “get the most out of life on the lake”.